The local Information Centre (VVV) is located in Hotel Theatre Figi lobby. Information about local activities as well as the province of Utrecht is available ou hotel lobby. The hosts of the VVV can provide advice regarding the best tourist attractions and activities. 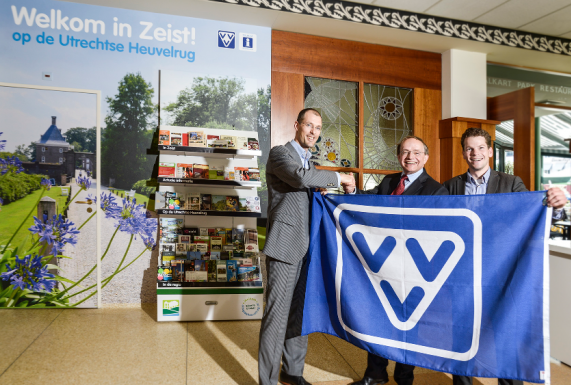 VVV Zeist – Information Centre can provide information regarding trips in Zeist and its surroundings, the Heuvelrug. One way to explore the area is by walking or riding your bike. Bicycles and e-bikes can be rented from here. The VVV has perfect easy-to-read maps. Discover the exquisite surrounds of the area and finish the day with a movie or play in the theatre of Hotel Theatre Figi. If you are looking for the perfect gift for someone, why not give them a gift card from the VVV. To get in touch with the VVV for more information, you can send an email to (info@figi.nl) or you can contact us on 03 etc (open 24 hours). You can also come in and visit us.